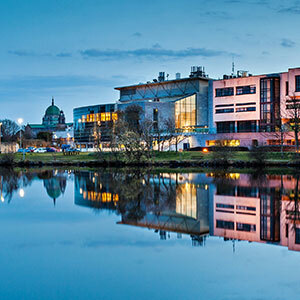 A new lecture series at NUI Galway’s College of Arts, Social Sciences, and Celtic Studies at NUI Galway will focus on major research achievements in the College in recent years. Entitled Spotlight on Research, the series will begin on Thursday, 4 April with a lecture from Dr Jacopo Bisagni. Dr Bisagni, based in the Discipline of Classics at NUI Galway, is the leader of the Ireland and Carolingian Brittany: Texts and Transmission (IrCaBriTT) project which was awarded major grant support under the Irish Research Council’s Laureate scheme in 2018. The grant was awareded to examine the impact of the scholarly heritage of early Christian Ireland on the shaping of cultural identity in medieval Britanny Dr Seán Crosson, Vice-Dean for Research in the College of Arts, Social Sciences and Celtic Studies at NUI Galway, said: “The Spotlight on Research series aims to highlight the world leading and ground-breaking research being undertaken across our College. 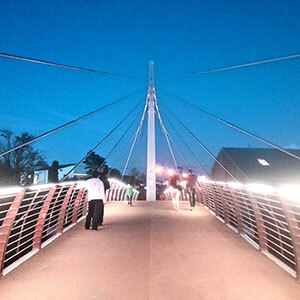 Academics within the College have received national and international recognition for the research they are undertaking, including major awards and research funding. This series provides a platform for us to bring these research achievements to the attention of both the academic community and the wider general public.” The lecture will be held in GO10, Moore Institute at 1pm on Thursday, 4 April. Future lectures in the series include: Dr Maura Farrell, Lecturer in Geography at NUI Galway and Principle Investigator on the Horizon 2020 funded RURALIZATION Project, who present on the topic of ‘Researching the Rural: Going Global and Staying Local’ on Tuesday, 7 May at 1pm. On Thursday, 6 June at 1pm Dr Charlotte McIvor, Centre for Drama, Theatre and Performance, and Dr Pádraig MacNeela, Dr Siobhán O’Higgins, and Kate Dawson of the School of Psychology, will discuss the The Active Consent programme, recently awarded major funding support by the Lifes2good Foundation in partnership with Galway University Foundation and NUI Galway. 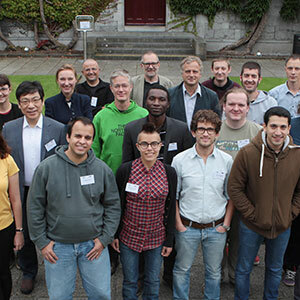 The School of Education at NUI Galway recently organised and hosted the inaugural computer science education summit, CSforAll. The Summit was supported by Google and marked the first time CSforAll was hosted outside of the United States, with attendees from across Ireland, Europe and the US. This coincided with the announcement that the School of Education at NUI Galway will commence a new BA Education (Computer Science and Mathematical Studies) undergraduate initial teacher education programme in September 2019. CSforAll is a large-scale global movement to mobilise and promote computer science education among all students and teachers. Initiated and championed by President Barack Obama when he hosted the inaugural CSforAll Summit in the White House. Key stakeholders such as National Council for Curriculum and Assessment, Professional Development Service for Teachers, and the Department of Education attended along with international speakers from Michigan State University, Munich University, industry and James Whelton, the co-founder of Coderdojo who delivered the keynote address. Gaelscoil Riabhach, Loughrea, Co. Galway, Castleblayney College Monaghan, Presentation Secondary School Warrenmount, Dublin, Coláiste Chiaráin Limerick and Scoil Bhríde Mercy Secondary School, Tuam were the selected Showcase Schools at the event. A key message and conversation topic of the day was about the equity in Computer Science – reiterating the message that one can be a great programmer no matter background, gender or race. What is important is increasing baseline Computer Science knowledge amongst all and providing everyone with the opportunity to learn – computer science is about equity, fun, transformation, digital literacy, and so much more. There was discussion also regarding the mental health issues around computing and social media. Dr Cornelia Connolly, event organiser and Lecturer with NUI Galway’s School of Education, said: “As the first CSforAll outside of the US, NUI Galway's event marks an historic development in Computer Science education in Ireland, bringing together the key educational stakeholders and partners in celebrating and exploring the potential of coding and computational thinking in Irish classrooms and schools. At a time when Irish schools are piloting Computer Science as a Senior Cycle subject, we were delighted to host CSforAll and the watershed initiatives taking place around the country and internationally, including the inspirational work of Irish pupils and teachers working creatively with a range of innovative technologies, including micro-controllers, coding applications and software.” The Summit website, including photos from the day, are available at https://sites.google.com/view/csforallirelandsummit/home. 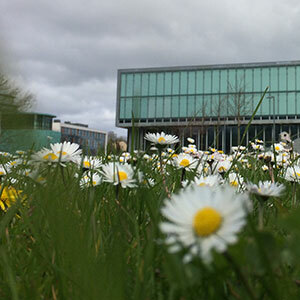 Over 5% increase in CAO first preference applications by 1st February 2019 NUI Galway has seen a substantial increase in demand for its courses this year, with over 5,000 students making it their university of choice for the 2019-2020 academic year. This marked a year-on-year increase of over 5% in first preference applications, against a national picture which saw the number of applications received by the CAO by 1 February grow by 0.5% on last year’s levels. 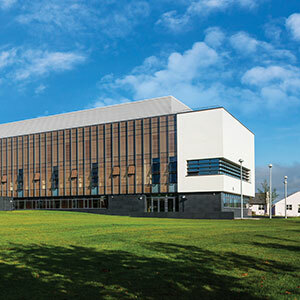 The increased demand for places was experienced across traditionally popular subject areas including business, law, engineering, biomedical science, nursing and medicine and also resulted from applications to three new arts degrees and a new law degree enrolling in September 2019 for the first time. The much anticipated Law and Human Rights degree is an innovative and unique programme and will be the first of its kind in Ireland. Building on the Irish Centre for Human Rights’ global reputation, graduates will be well positioned for work in international human rights law, policy or legal practice and will also pursue professional legal training as a solicitor or as a barrister. College of Arts, Social Sciences and Celtic Studies are launching three new degrees in 2019. The BA (History and Globalisation Studies) and the BA Government (Politics, Economics and Law) are two new inter-disciplinary degrees that will give graduates unique knowledge and understanding across a range of related subjects, whilst the BA Education (Computer Science, and Mathematical Studies) is a four-year concurrent initial teacher education programme which will prepare graduates for eligibility to teach computer science and mathematics. According to Registrar and Deputy President, Professor Pól Ó Dochartaigh: “Our young people are socially conscious and looking to tackle the most pressing issues facing society, from climate change to social justice. We can see this in the course choices of CAO applicants, who are opting for courses and preparing for fulfilling careers where they can have a powerful and positive impact on the world around them. 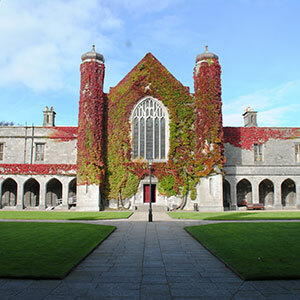 The new Law and Human Rights degree has attracted strong interest from Ireland and Europe from students who are choosing NUI Galway for its global reputation for excellence in the field. We look forward to supporting this next generation as they further develop their skills and make their mark in the world. “Employability prospects remain an important consideration for students choosing a course and the current buoyant graduate jobs market is giving confidence to students to choose courses which will allow them to follow their passions, develop expertise and transferable skills, gain experience abroad and in the workplace and prepare for highly flexible and rewarding careers.” Students and parents are invited to find out more at NUI Galway’s upcoming undergraduate open day is taking place on Saturday, 6 April, 9am-3pm. 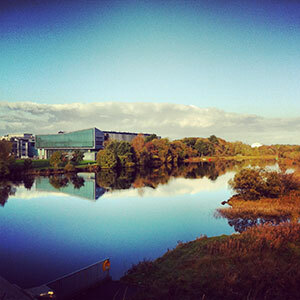 Register now at https://www.nuigalway.ie/opendays/.